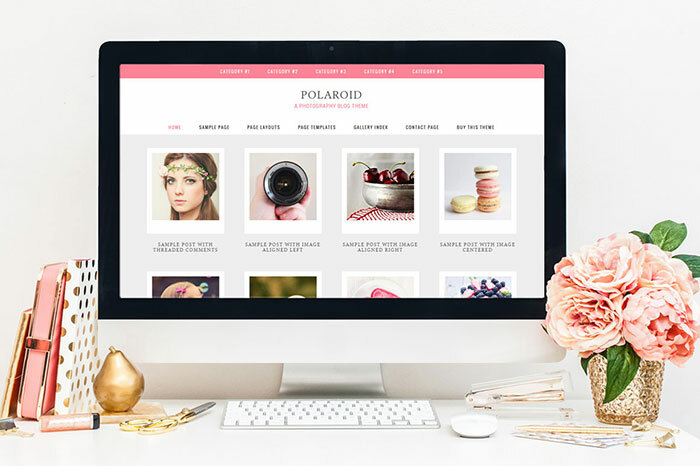 Note: All the following themes are for self-hosted WordPress websites only. They will not work on free WordPress.com blogs. 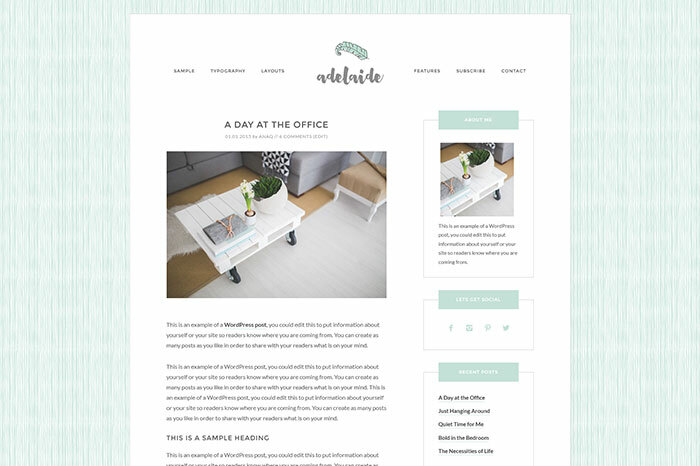 Adelaide is a 2 column, responsive, feminine WordPress theme for the Genesis framework. 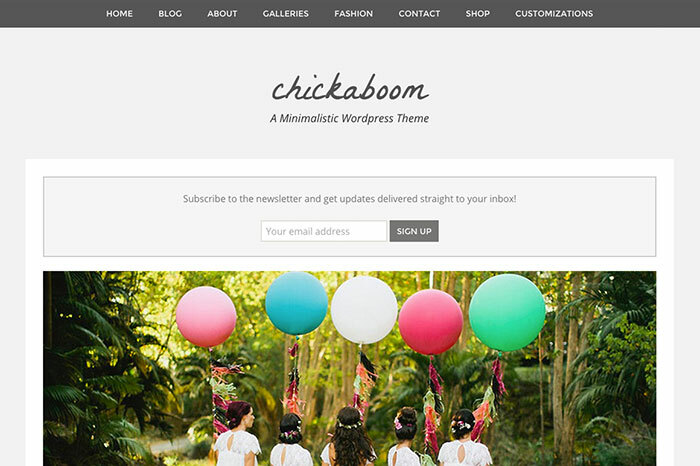 The Chickaboom features a responsive, flexible, and feminine design with loads of great options for customization options and ease of use. 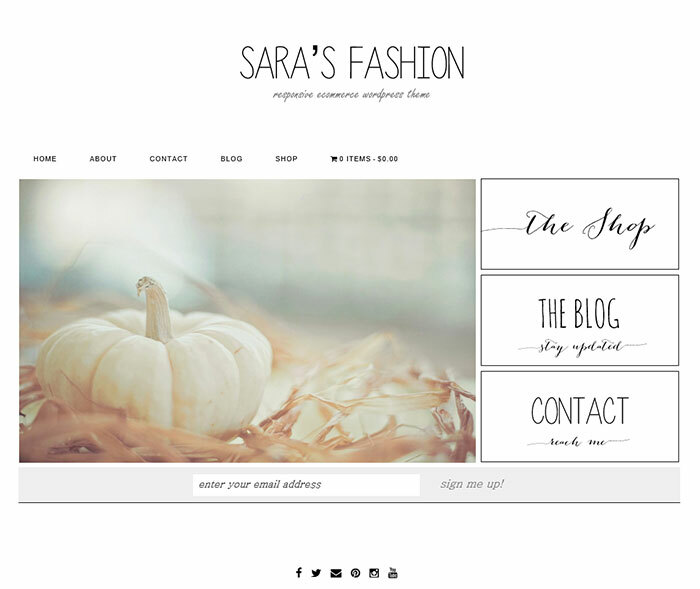 This responsive layout is designed for fashion, beauty and lifestyle blogs. 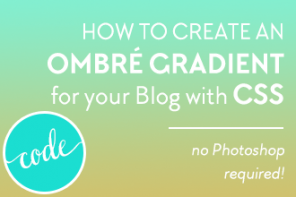 This responsive theme displays blog posts in two columns with vertical featured image and post title. 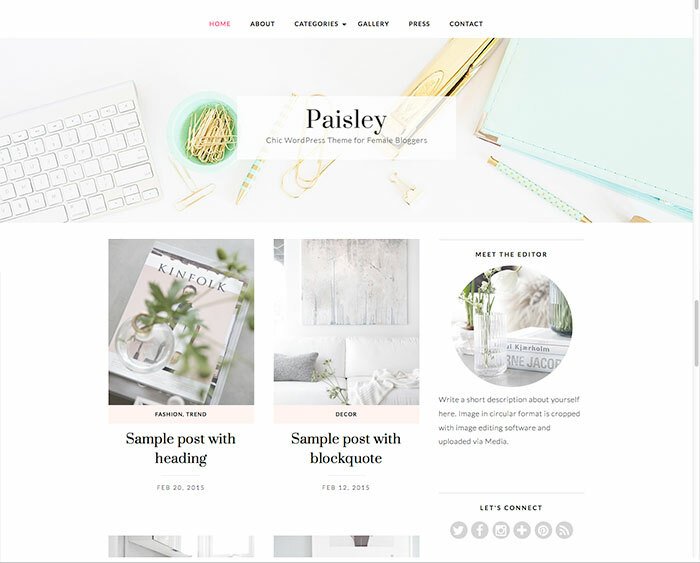 Noah WordPress Theme by Creative Whim $39 or as part of the 2015 Theme Bundle. 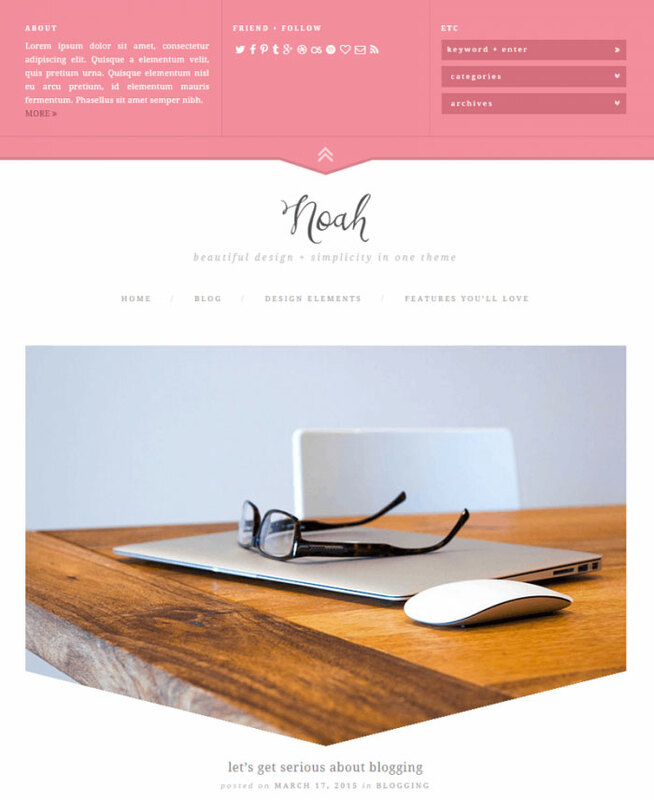 Noah is an elegant and classy responsive theme that is very simple with no sidebar. You can purchase it alone or as part of the 2015 Theme Bundle. A beautifully modern theme that features animated social media icons. 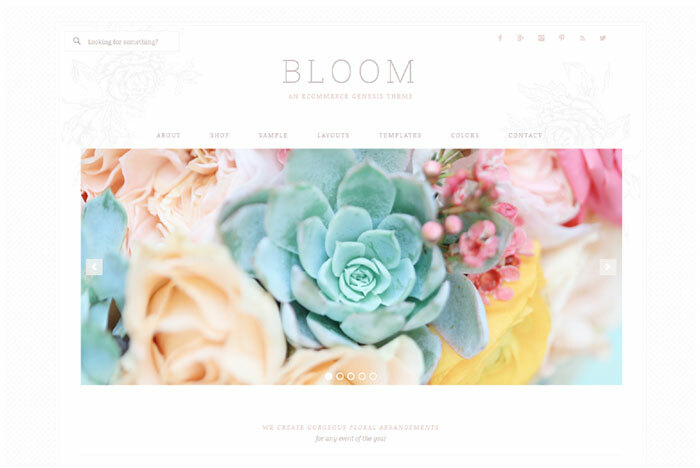 Bloom is a responsive eCommerce WordPress theme for the Genesis framework. 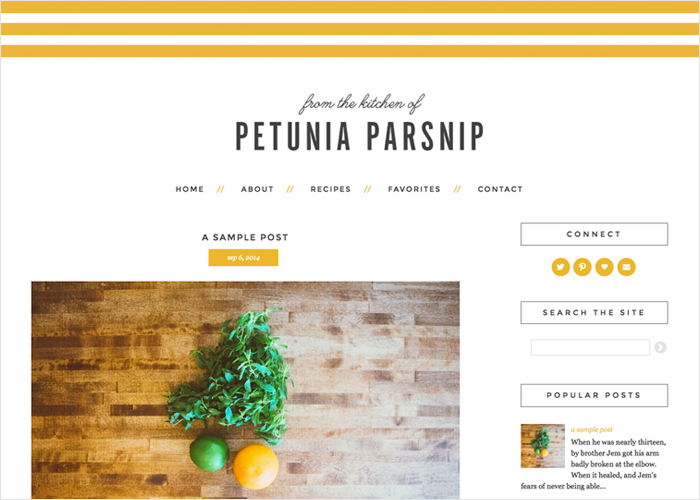 This WooCommerce wordpress theme has a clean and fresh design. All pages are fully customizable. 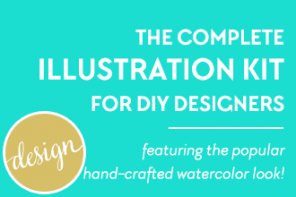 Built with creative agencies and designers in mind, this theme is perfect for sharing your creative vision, spreading your ideas, and creating a resource for others. 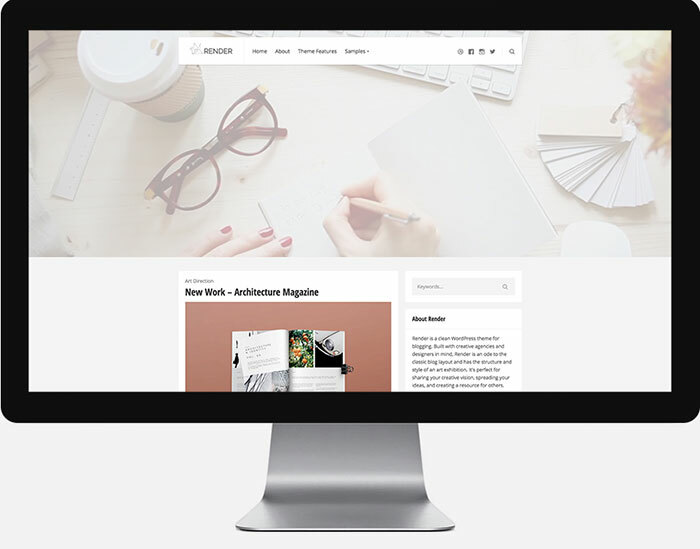 Soho is a modern, clean and responsive theme for creatives. 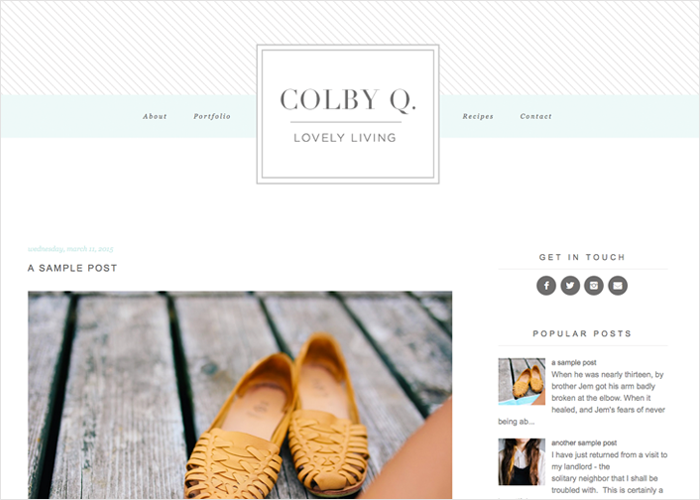 Colby Q is another clean WordPress theme that features animated social icons. Which one’s your favorite? Share with me below! Are there any free alternatives? 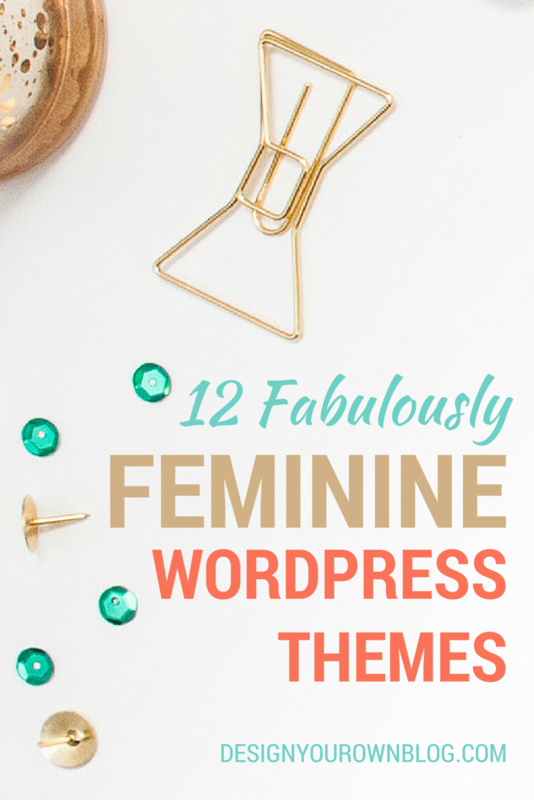 Or would you do a post with free feminine wp themes? Hi Betty, thanks for checking out the themes here! I will do a post soon about free ones, I promise! If I remember correctly, BluChic has a free one that’s SUPER cute. I think it was her?! 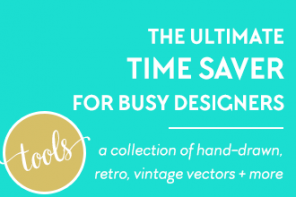 Marianne, you should check out Pretty Darn Cute, too, she has some OUT of this world themes (all Genesis child themes) and they’re very affordable. Ah, here it is! 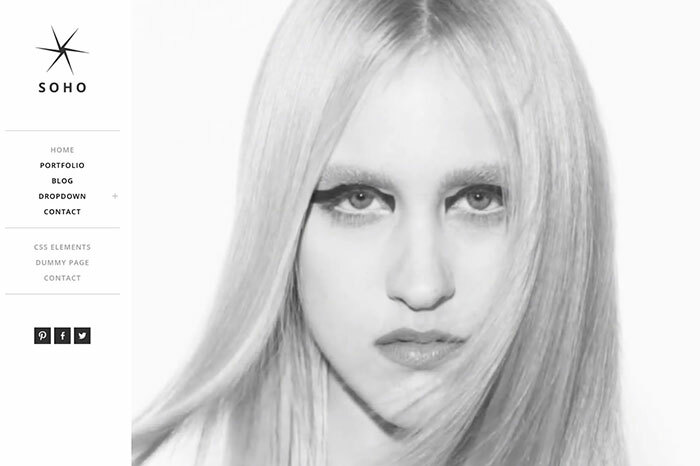 She’s added another one since I last checked out her blog, too. Adelle has a nice set of features for a free theme and I think it’s adorable. I love the dotted header! Thanks for sharing that Brigitte! I had forgotten about PDC too, will have to include her stuff in the next round up! 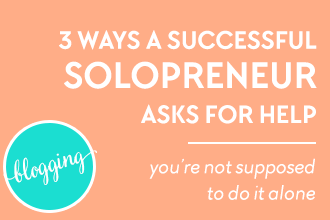 What’s a lonely solopreneur to do when she needs help? Here are 3 simple ways to get the support you need and not feel so alone.